Wedding season is finally upon us, and you can almost hear the church bells ringing across Baltimore. If you’re getting married this summer, chances are you already have all of the major details nailed down. However, if you are still in the planning phase for your nuptials, you may not yet have decided on a location for your reception. When you are searching for a banquet hall in Baltimore, look no further than the New Psalmist Retreat & Meeting Center (NPRMC). Featuring several banquet halls and incredible amenities, our event center is sure to make your wedding reception unforgettable. From the food to the parking, we have all of your needs covered. Check out a few amenities that are essential to a fun, successful reception and contact us to request a consultation! 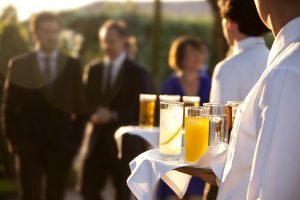 Regardless of what time of day your wedding reception is, you’ll want to have delicious food and drinks to help you celebrate your new union. You may choose to have drinks and light snacks during your reception, or you may prefer a sit-down meal. In either case, having the food catered will save you the time, stress, and expense of bringing in your own food. At NPRMC, we proudly offer reception catering packages that are affordable, and you can choose between having a buffet-style meal or a seated meal with your guests. In your search for the perfect reception site, don’t forget to check out each banquet hall’s audio/visual equipment. As part of your celebration, you may want to display photos of you and your new spouse from when you first met, or you may want to play music and dance with friends and family until the early morning hours. State-of-the-art speakers and projectors are a must for this reason, as are quality microphones for various announcements and speeches. You’ll get all this and so much more when you have your reception at the NPRMC banquet hall. 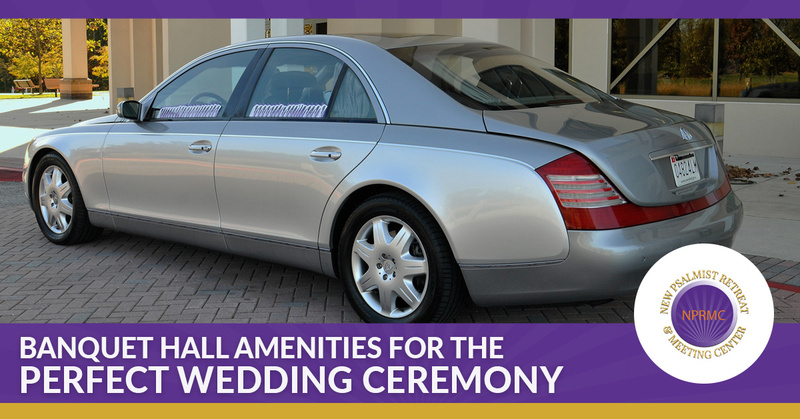 Valet parking is a desirable amenity for all types of events, and wedding receptions are no exception. When your friends and family arrive at your wedding reception, they won’t want to waste any time looking for a parking spot, especially if it is raining or snowing when they arrive. Likewise, when they are ready to leave, they don’t want to have to remember where they parked. When you hold your reception at NPRMC, you and your guests can enjoy the benefit of having a trained professional handle the details of parking upon arrival and departure of your event. It doesn’t get any better than that! Are you ready to book your reception site for your upcoming wedding? If so, then NPRMC is here to help! We’ll make sure every little detail of your reception, including the food, drinks, music, and parking. View the photo gallery of our rooms online or schedule your on-site tour of our facility to discover the beauty and elegance of our Baltimore banquet halls. We can’t wait to hear from you!